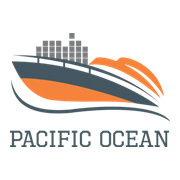 We, PACIFIC OCEAN MARINE SERVICES is a complete one-stop-shop for global transport logistics services that provides-everything you need from Freight forwarding, Customs clearance and third party logistics to brokerage, supply chain management, Freight management consultancy service – both import, export and cross trade or simply provide a multi-modal transport service that gets your goods where you want them, anywhere in the world, in the required time frame. Al Fares Cargo, take this opportunity with great pleasure to introduce ourselves that we are one of the premier service providers in Logistics industry in the Gulf region. The company is managed by a group of experts having decades of professional experience in land, Sea, Air cargo transportation service and customs clearance process at borders. NMAC Cargo is an international freight forwarder based in Dubai, United Arab Emirates. The original conception for the company was to offer more personalized freight forwarding and logistics services tailored to meet clients needs. BS cargo is a Logistic company based in Dubai UAE. With our team of motivated and dedicated staff we have till date always delivered up to the clients expectations. 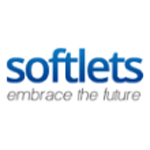 We presently have a team with people have over 10 years of experience in the logistics business. BS Cargo has a strong grass root in the line of logistic business viz Air Sea and land freights. All Pakistan door to door service and other countries of the world at affordable rates. We are dealing with professionals for Packing Moving and Shifting good from Flat,Villas,Offices,Industries or warehouse.